One of the 500ml jars broke when lowered into boiling water. I was very surprised with that as I thought these were quality jars. Fantastic product. Makes it so easy and safe to add and remove the jars from the boiling water. Can't do without it. I haven't had much experience with other makes but I am quite happy with the way it does it job. I use quite large jars and it lift them well and with security. 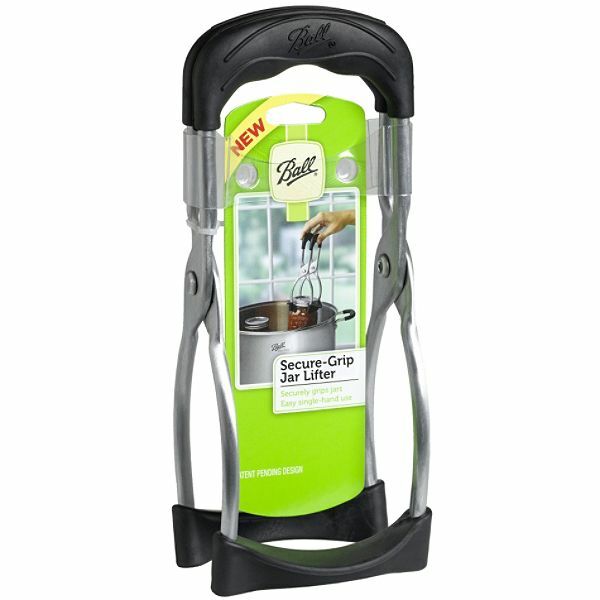 These tongs are so solid and will make handling hot jars much easier. I'm trying to be creative and think of other culinary uses for them such as handling a hot BBQ chicken.....what else can people think of? Service was excellent and we received our parcel extremely promptly. Much thanks. Brilliant. I wish I had discovered them much earlier than I did. Would recommend them to any one. Thanks for the free shipping for orders over $100. It allowed me to get these great tongs along with many of the other fantastic products from Ozfarmers. I'm kicking muself for not buying the tongs earlier. So much safer and easier than using oven mitts or similar to lift hot jars. And they work on Vacola (with a bit of care to line them up properly)and Ball Mason jars. These work well with the Vacola jars. They grip well and are easy to use. Great service. Super prompt delivery. Fantastic product...So brilliant bought myself a second set so don't have cart them back and forwards from bush to here all the time. They are so great after using the old Fowlers tongs for years. Very happy - strong, well made tongs that make picking the bottles up much easier. What great service and excellent tongs,strong and durable. Couldn,t br happier. Very fast delivery! ordered them Monday and they were there Tuesday Morning! SHOCKED! Really well made tongs. Easy to pick up the bottles. Highly recommended! One of the most important tools for the preserver is a set of bottle tongs / jar lifters. These are used to lift hot jars in and out of boiling pots or pressure canners and so you want to be sure that you will have a set that will stand up to the rigours of constant heat and use. The great thing about these tongs is that they are ergonomically designed so the handles are really comfortable to use even after a full day of putting jars in and out of preserving units! The spring hinge improves strength and pops open automatically whilst the moulded grip increases contact surface versus other jar lifters. Made of lightweight aluminium, these are tongs that will not rust whilst the high heat grips will endure longer than some of the cheaper tongs in the market.